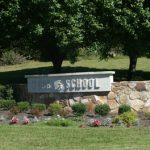 I had a wonderful time in Tennessee last week visiting schools. The visit was arranged by librarian Scot Smith who is incredibly well organized. It could not have gone better. On Monday I spoke to 60 fabulous 4th graders at Glenwood Elementary, hosted by librarian Amelia Bell. 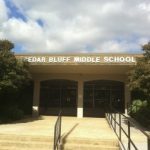 That afternoon I was at Cedar Bluff Middle School with librarian, Janet Getz. 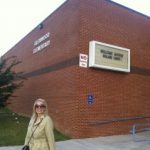 On Tuesday I was with librarian, Alan Sims speaking to 5th-8th grade is a nice little auditorium. Wednesday I was with librarian Tena Litherland of the Web School speaking to middle school students. 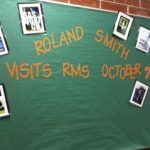 On Thursday I was with Scot at Robertsville Middle School. That evening I made the long flight home. The visit could not have gone better. Thank you for inviting me!